The Tallow is a fairytale come true. A modern remake of the antique candlestick holder that was used to find your way through the dark. Candle and candlestick holder are cast together from coloured candle wax, the result is this beautiful Tallow. Available in 8 different colours. Beautiful by itself, stunning as a combination. The Tallow of Ontwerpduo radiates cosiness. It's a classic candlestick holder, with a handle and plate. The candlestick holder stands on a flat base with a handle: the portable candlestick holder to find the light in every dark. The candle has a wide foot with a slightly raised border, to catch the candle wax so it falls onto your feet. 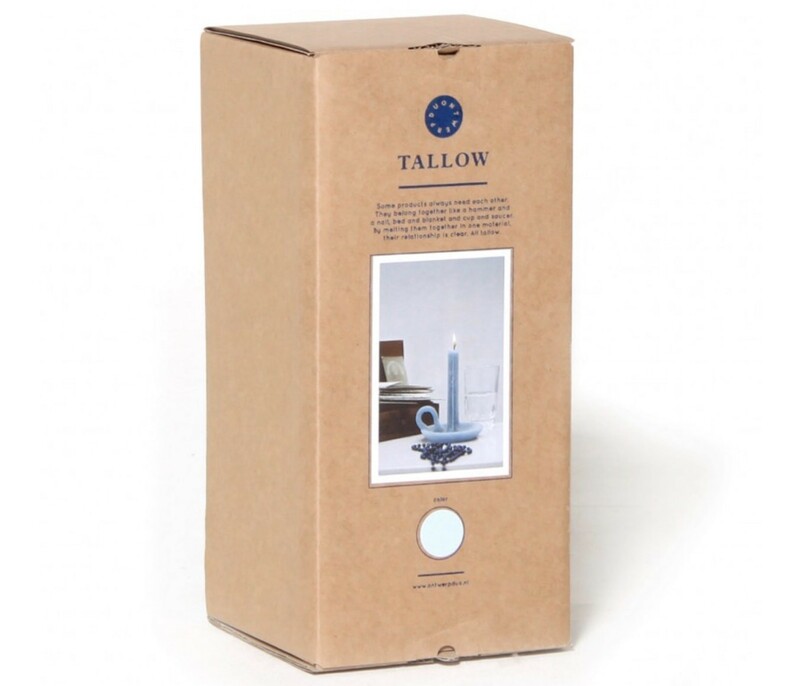 The name Tallow is inspired on the fairytale of the Tallow Candle of Hans Christian Andersen. You better blow it out before you fall asleep though. The current remake of Ontwerpduo has the true shape of the antique candle holder, but the obvious eye-catcher here is that the candle and candle holder are one. 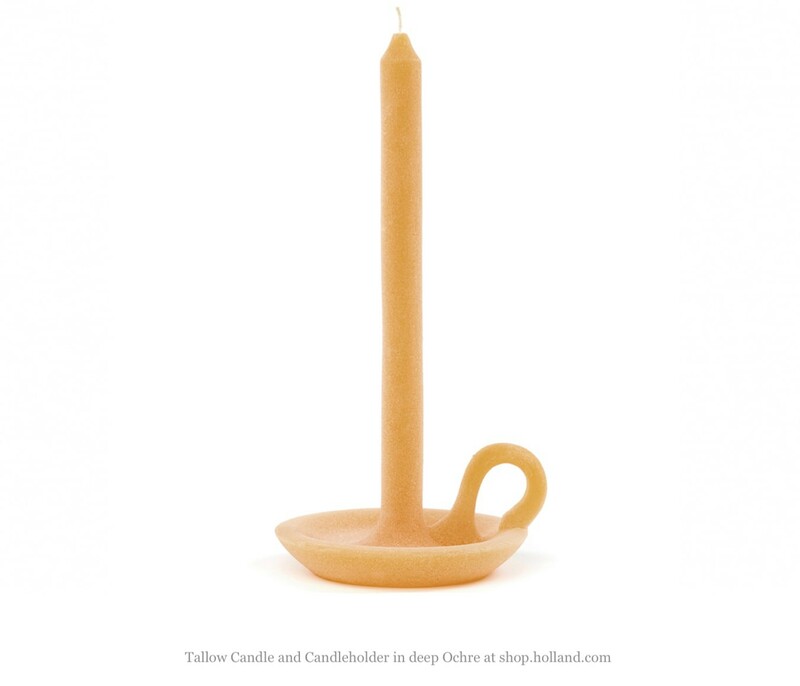 Candle wax is cast into a mould to make the Tallow. After two hours of cool down, a beautiful handmade Tallow is pulled from the mould, made in the Studio of Ontwerpduo in Eindhoven. Available in 8 different colours. Wrapped in a sturdy box with full colour picture that can be used as a gift box.